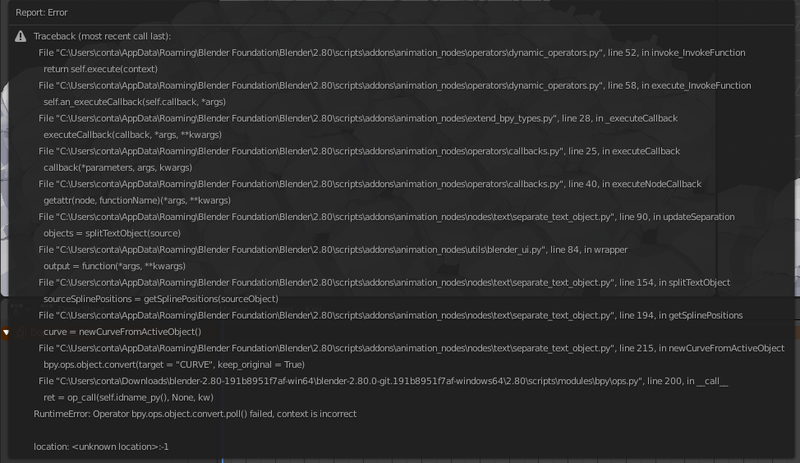 are you sure you are running the right blender from the command line? from you description it seems like the animation nodes plugin is not being loaded, that’s what happened when I tried to render an AN animation without the plugin being loaded. Aside from this not sure what it could be. I’ve built from latest source, as well as the latest “releases” for Blender2.8 and AN 2.1 blender2.8 branch, and have yet to see the commandline work. Does anyone have a problem with text objects and the node Separate Text Object? When I click on update, it shows this error. Any progress on that Bake Sound Node Crashes? Still crashes immediately when pushing the bake button. Hi, how do you set up the vector colors on the object? I couldn’t find the earlier post explaining this. It appears to be working now on the latest AN build. 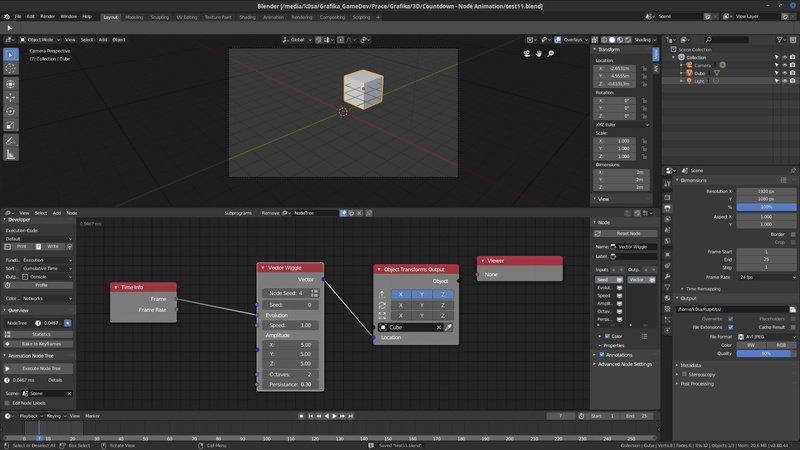 Keyframing nodes parameters is not working on 2.8 builds, is this correct? is there any systematical written tutorial ?